My family is growing !! 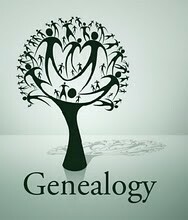 To my astonishment, one-thousand new individuals added to my Ancestry database. I’m”working with” individuals already documented so that many “new” is remarkable–in less than one month. Congratulations on 1,000 names in a month. I might be keeping up with you this month since I cannot go outside. The fire in Butte County, which 250 MILES AWAY, is still creating unhealthy smoke throughout the region.